On Saturday 22nd and Sunday 23rd September, walkers of all ages and abilities have the chance to get outside and explore the beauty, history and heritage of the Sperrins and Killeter regions. Walks are available at a variety of levels including easy strolls (perfect for families and budding nature photographers), moderate treks and challenging hill walks across some of the country's most dazzling landscapes. An exciting & unusual weekend of cross country hiking in one of Northern Ireland’s most remote and scenic landscapes. On previous weekends Golden Eagles, Red Deer and Mountain Hares have been spotted on our guided hikes. Experienced and knowledgeable local guides will also enlighten visiting walkers on the ecology, history and folklore of this wild and remote part of West Tyrone. Enjoy some of the finest walking and rambling, set against some of Ireland’s most spectacular and stunning scenery. 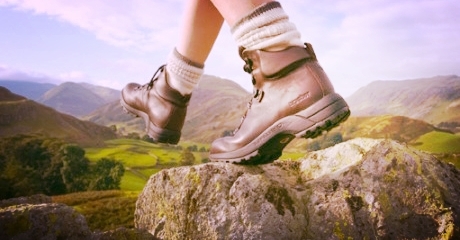 Events cater for all abilities of walkers from family & history walks, to moderate and challenging walks, all of which are guided by professional walking guides. Located in the picturesque village of Plumbridge, standing on the banks of the Glenelly River.